Fused 9″ circles of richly-colored handcrafted glass, Rondelays add a pop of color and style to any room. Use as wall art, room dividers, or door and window treatments. See more details in the description below. 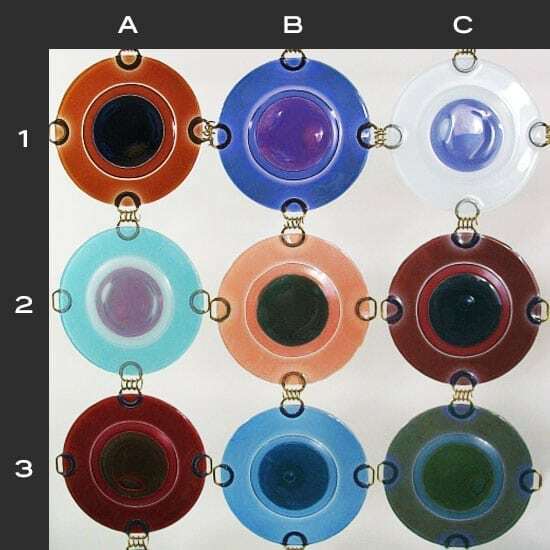 Choose from 85 standard colors as pictured. Place your order online, then call us with your order number to set your color designations. For custom orders, or to place your order over the phone, please contact us.